HP Color LaserJet 1600, 2600 maintenance kit, fuser part number RM1-1820. This kit is available with or without a fuser exchange. 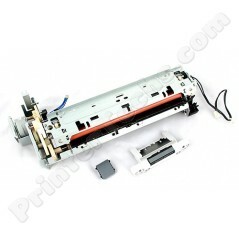 Non-exchange maintenance kit for HP Color LaserJet 1600, 2600. This kit includes genuine HP pickup roller, separation pad, and refurbished fuser (new fusers are no longer manufactured for this printer).